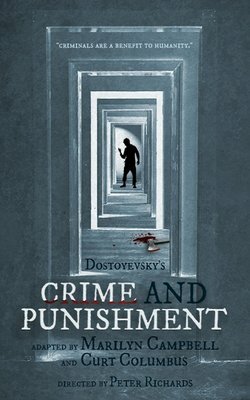 This new, award-winning adaptation of Dostoyevsky's literary masterpiece Crime and Punishment is told by three actors. This "conversation on the nature of evil" is set in the mind of the murderer where he relives and explores the thoughts, ideas and feelings that drove him to his horrible crime. The play becomes a psychological landscape which creates a thrilling journey into the mind of a killer and his search for redemption. This is an intimate psychological and spiritual journey which seeks to unveil hidden dimensions of the human condition. Co-Presented by Edgemar Center for the Arts.